While only 10 years old, PSC already runs all concession and catering operations at 30 minor league baseball stadiums and spring training facilities around the country. In each of these markets, PSC makes the ballpark the best restaurant in town. We are anticipating an expansion of our client list in time for the 2017 baseball season, and we have started our search now for talented Director of Food & Beverage candidates that are ready to run an entire single-unit operation. This opportunity would require relocation to one of our current markets, with the exact location still to be determined at this time. As a company, we are dedicated to re-energizing our client’s entire food service operation by bringing an exciting, high quality product mix and positively outrageous customer service to the market. The Director of Food & Beverage is responsible for the overall food service operation at a specific minor league baseball location, including all concessions and catering venues. Early responsibilities of the Director of Food & Beverage may include managing capital investments in food service equipment, and developing exciting new menus for the concessions venues that incorporate ballpark classics with local favorites. In order to carry out this vision, this person will also focus on daily responsibilities including establishing and meeting department budgets, monitoring food and labor cost on a daily basis, establishing vendor relationships, ordering and receiving food and beverage products, maintaining proper inventory levels, and insuring the cleanliness of all food venues. The Director of Food & Beverage must possess strong management qualities. 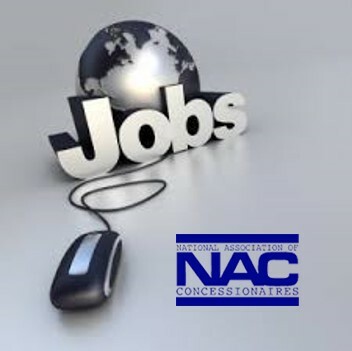 This position directs at least 2-4 full-time food service managers in concessions and catering, and 3-5 seasonal managers in addition to overseeing 150+ hourly employees and non-profit groups. Strong communication will also be a key to success in this position. The Director of Food & Beverage will grow the relationship with the client, and will be in constant communication with the client’s management team. Additionally, one of PSC’s best attributes – for both clients and employees – is the unity amongst each PSC operation and the “hands on” nature of the PSC management team. Each Director of Food & Beverage will contribute to and benefit from ongoing and detailed communication with all PSC staff across all current venues. Email jobs@prosportscatering.com with a copy of your resume.